If there’s any mother out there that will make you believe traveling with a newborn around the world is totally possible, it’s Lauren Wells. Since Riley entered the picture in 2017, she’s traveled to Colombia, Mexico, France, and a few Travel Mindset InstaMeets with her mom and dad. 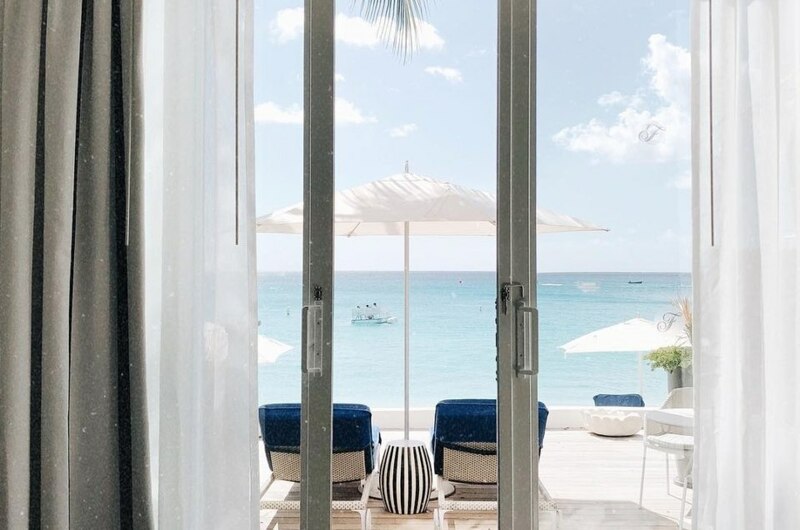 The best vacation of all might just be from their luxurious getaway to the Fairmont Royal Pavilion in Barbados earlier this spring. Today on Travel Mindset, Lauren is sharing her favorite moments from her family’s getaway plus her most Instagram-worthy moments on the Caribbean island. Hey Lauren! Thanks so much for joining us today. Can you tell us a little bit about yourself and how you got into travel blogging and photography? Thank you for having me! I have always loved traveling, and after leaving the corporate world and starting my own business (event planning and design, which I no longer do), I finally had the time to pursue that passion. Sharing our experiences via my blog and instagram has paved the way to where I am today. How would you describe your travel style? Has it changed since your little girl arrived? I think my travel style would be described as “let’s do and see and eat everything we can.” I love having a rough plan. Since the little lady came along, the only real changes are we have a lot more room service versus nights out, and we have pared down what we attempt to do in one day. You’ve stayed at a few Fairmont Hotels & Resorts properties before. What were your first impressions of Fairmont Royal Pavilion – Barbados? Incredible from the moment we arrived. Not only was the Fairmont Hotels & Resorts team so warm and welcoming, but the property – and our room – was something out of a dream. Your daughter, Riley, was able to join you on this trip. How does Fairmont Hotels & Resorts cater to children so they can have a luxury experience, too? The staff loves babies, and Riley was spoiled rotten from the moment she crawled in. From stuffed sea turtles to bathtime goodies to fresh purees to on-site babysitting, this is the perfect holiday with children. The Fairmont Royal Pavilion is Barbados’ only resort directly on the beach. How did you soak up some fun in the sun while you were there? We took full advantage of our beachfront room by never really leaving the beach! We took in every sunrise on the sand, and swam during each sunset. Pure heaven! One of our favorite moments from your Instagram Stories came from your beautiful catamaran sailing. Tell us about swimming with turtles and sailing through the waters of Barbados! It was the PERFECT day! The best crew, the best company (turtles included! ), and the best scenery. Barbados is considered one of the most romantic islands in the Caribbean. How did you and your hubby indulge? We spent one evening dining under the stars, with our feet in the sand. It was an incredible meal, in the most romantic setting. As a photographer, what would you consider the five most Instagram-worthy spots in and around the Fairmont Hotels & Resort property? Number one would be the beach, of course! The white sand and turquoise waters. Number two would be the inner courtyard of the hotel. Pink everywhere, and the most beautiful fountains and gardens – fashion bloggers would have a field day here. Number three would be the restaurant. The food and drinks were as pretty as they were delicious, so definitely some photo worthy moments there. Number four would be on the water, or if you have underwater gear, in the water. Nothing more Instaworthy than those sea turtles! And lastly, number five would be the room. With giant doors looking directly out to sea, there is so shortage of natural light or views. Inspired to recreate Lauren’s family vacay at the Fairmont Royal Pavilion in Barbados this year? Click here for more information about the Fairmont Monte Carlo and use Lauren’s website to craft your picture-perfect itinerary.